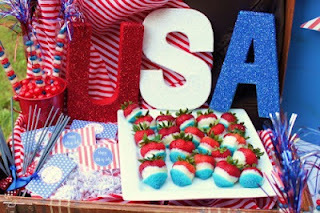 A long weekend filled with barbeques, parties, lakes, beaches, food, food, and more food is almost upon us! I hope you're going somewhere extra fun for Memorial Day weekend! Here are a few quick party ideas to make your weekend extra festive! 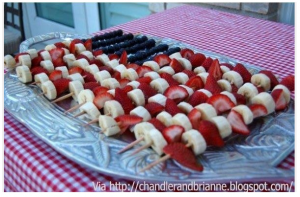 berries in the shape of an American flag!! 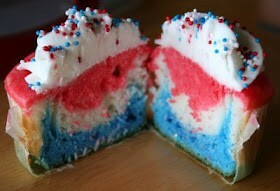 into a lined cupcake pan and bake as normal.